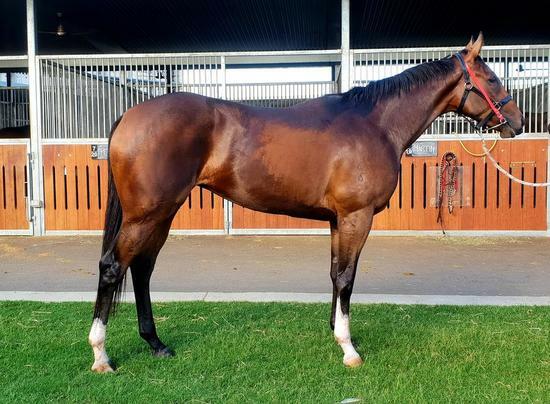 SMART MISSILE (AUS) (Bay 2008-Stud 2012). 3 wins-2 at 2, ATC Todman S., Gr.2. Leading Aust. First Season Sire 2015-16. Sire of 364 rnrs, 230 wnrs, 10 SW, inc. Maid of Heaven (ATC Spring Champion S., Gr.1), Smart Melody, I'll Have a Bit, Debellatio, Jericho Missile, Beauty, Final Award, Irish Bet - Hong Kong Bet (H.K. ), Exocet, Sassy 'n' Smart, SP Rocket Fuel, Smart Elissim, Aim Smart, Smart Coupe, Rocketeer, Smart Amelia, Smart Manoeuvre, etc. Epic (g. by Stratum). 10 wins from 1200m to 1650m, A$412,900, BRC Bottle-O H., Courier Mail Taste H., Courier Mail Queensland Taste H., Brc.com.au H., Cyril Gilbert OAM H., Powerade P., Francie Vincent H., Pacific Thoroughbreds H., Qld Tatt's RC Carlton Mid H., Ipswich TC TL Cooney H., 2d BRC Members' H., L, Coca-Cola Amatil H., Bruce Thomas Lawyers H., Drumbeats P., Qld Tatt's RC Hardy Brothers Jewellers H., 3d BRC Lord Mayor's Cup, Gr.3, Wayne Wilson S., L, Qld Tatt's RC Tattersall's Mile, L, BRC Sunshine Kebabs H., 4th BRC Lord Mayor's Cup, Gr.3, Qld Tatt's RC Southbank Insurance Brokers H., L.
Mighty Maverick (g. by Snitzel). 5 wins at 1200m, 1400m, NZ$12,025, HK$5,122,350, to 2017-18, HKJC Macau H., Amah Rock H., Kranji H., HKU Foundation & Faculty H., 2d HKJC Chevalier Senior Housing H., Corum Excellent H., 3d ARC Mr Tiz Trophy, Gr.3, HKJC La Colline H., Citi Insurance Services H., Ruby H., Larch H., Chan Trophy H., Chaoyangmen H., Heung Yee Kuk Cup. Desirable Miss. 4 wins to 1100m to 2017-18, Ipswich TC CFMEU Retired Miners H., 2d BRC Happy New Year H., 3d Ipswich TC Little Theatre H.
Ibini. 2 wins at 1100m, 1200m to 2018-19 in Aust. Purest. 2 wins at 1000m, 1400m in 2017-18 in Aust. Memory Bank (f. by Smart Missile). 3 wins-1 at 2-to 1300m, A$109,500, to 2017-18, MRC Chandler Macleod H., 3d MVRC 1print 2YO P.
Stockton (g. by Stratum). 3 wins at 1200m in Aust. Thunder Lea (f. by Mossman). Winner at 2 in Aust. Faraday's Rage. Winner at 1000m in Aust. State of Wealth. 7 wins to 1200m, A$174,535, BRC ROHRIG Group H., Australian Open Polo Doomben Racecourse P., Timeform H., Noel Wilson Memorial P., 2d GCTC Magic Millions P., 3d GCTC Magic Millions P., BRC Skyracing.tv H., Racing Retro H.
NOTONYOURLIFE (Sebring). 6 wins to 1200m, A$359,630, to 2017-18, Qld Tatt's RC Ubet Classic, L, Hardy Brothers Jewellers H., BRC Commercial Hotel Nambour H., Aitkenvale Family Health H., Gallopers Sports Club H., 2d BRC Nudgee S., L, Kanga Couriers H., Qld Tatt's RC Stav, Abby & Matt With Osher's P., MRC Taralye 2YO H., Ipswich TC Pepsi Max Maximum Taste P., Christmas Functions H., 3d BRC Nudgee H., L, VRC Leadwest 2YO P., Qld Tatt's RC Osher's H., BRC Heart of Australia P., Herbert Smith Freehills H., 4th GCTC Silk Stocking H., L.
Definitely Ready. 7 wins to 1100m, A$259,619, MRC Rokk Ebony Cup H., Betfair H., Bert Bryant H., MVRC Essendon Mazda 55 Second Challenge Heat H.-twice, MRC Over H., 1000m-in track record time, SAJC Yallambee Stud P., 2d VRC TCL Electronics H.